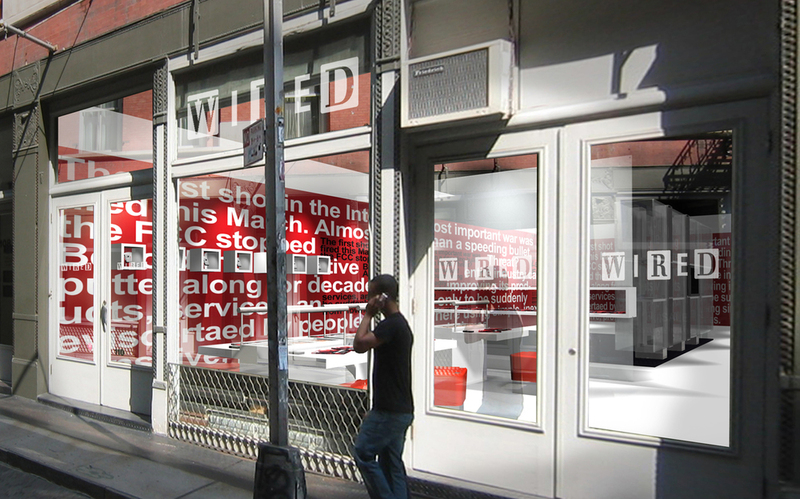 A proposal for a temporary pop-up store for Wired Magazine. 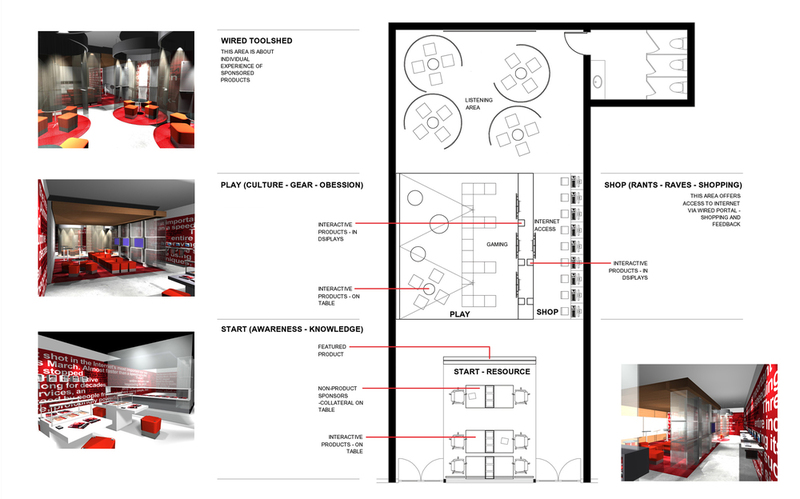 The concept for the store proposes a lounge and media library where consumers can engage and “play” with products featured in the magazine in an informal, soft-sell environment. 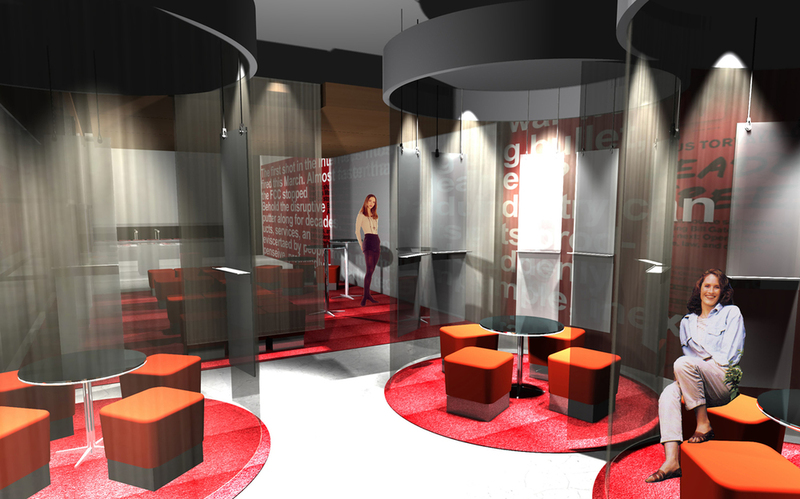 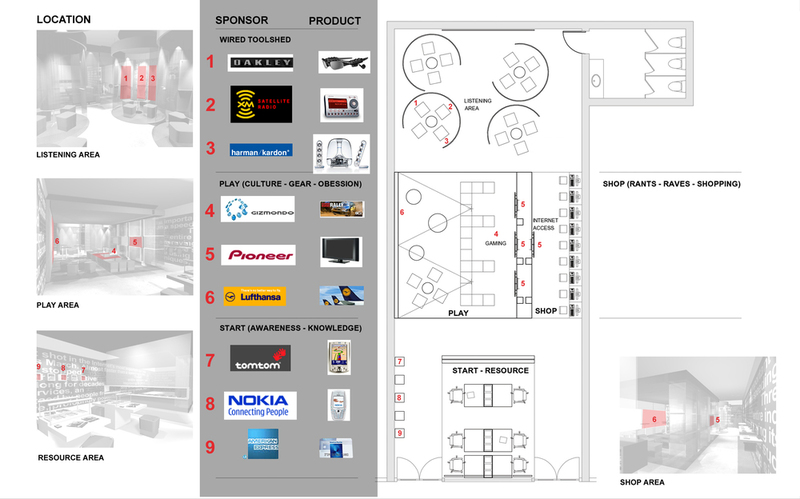 The space is wrapped with environmental graphics which organize the experience into three main zones, similar to the organization of the magazine: START (Media Library), PLAY (Lounge) and SHOP (Online Shopping).